BEIJING — Premier Li Keqiang said on March 16 that since 2013 the central government had reduced the number of items subject to administrative reviews and approvals by a third, and promised more cuts to come. “Three years ago, on the same occasion, I promised that this term of government would cut the number of items that require State Council reviews or approvals by one third. We have already fulfilled that target,” Premier Li told a press conference after the conclusion of the national legislature’s annual session. The streamlining of administrative procedures and the delegating of power have been identified as integral to the process of transforming government functions, he said, adding that third-party evaluations showed most businesses and people were satisfied with the progress. “Yet, some problems remain. Our people expect more from the government,” the Premier said, noting there is still much to be done. “This year we are determined to further cut the number of government approval items and leave more items to the market,” Premier Li told reporters. He said there are still too many requirements for certificates and permits. The number of certificate requirements will be cut by a half this year. 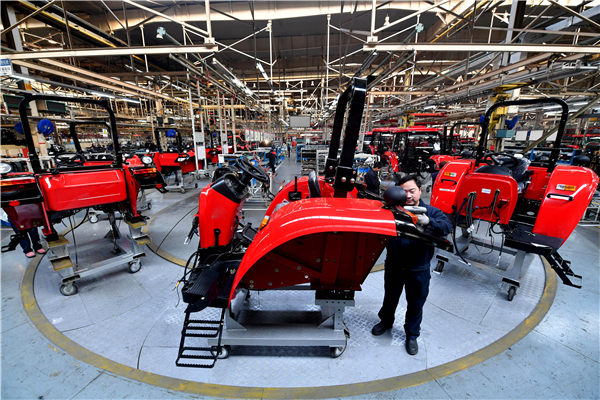 “Redundant procedures have held back productivity and also restrained consumption,” Premier Li said, adding that the government must forge ahead with the reform. The Premier said existing standards must be unified. Government documents without solid legal ground that have held back the people or even hurt their interests will all be cleaned up or abrogated. “The reform will cut government powers, but we are determined to keep doing it until our job is done, as that will deliver quick benefits to our people even if the government has to make painful adjustments,” said the Premier. Premier Li hopes that through this process the government will provide better services to the people.